Chimpanzees are some of the most amazing creatures on Earth. Their incredibly expressive faces, their human-like antics, and their evident and complex emotional range, make it easy to believe that they share around 90 percent of the same DNA as humans. 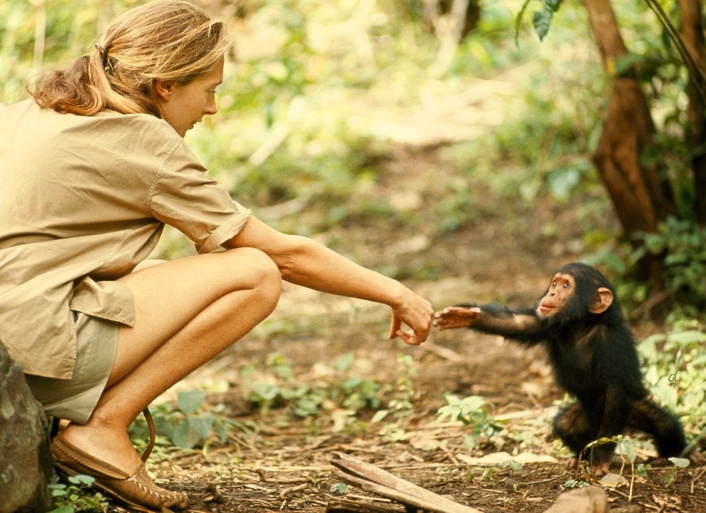 While most people are only able to see chimpanzees through books, television or computer screens, Jane Goodall was far too fascinated by these creatures to stay so far away. For this very reason, at the age of 26, Jane Goodall left England, binoculars in hand and notebook in tow, to pursue her lifelong dream of living with wild chimpanzees. Now, some people may hear this story and be completely flabbergasted that a human living in a modern, industrialized world would choose to abandon the comforts of civilized society to live with monkeys. After all, what can one really expect from entering the wild habitat chimpanzees call home? Likely heartbreaking habitat destruction, an extremely close look into the illegal wildlife trade and poaching, and of course, the detrimental effect these situations have on chimpanzees – or at least, this is what we would definitely see now. In the case of Jane’s journey, what awaited her on the other side was largely unknown. Despite all of this, as we know, Jane decided to set forth and embark on the incredible adventure. It is largely due to Jane Goodall’s work with chimpanzees that we now know so much about these fascinating creatures. Photos of her with chimpanzees has caused people around the world to see chimpanzees in a much more accurate light and her words have made people reflect on their habits and how they affect the environment. Jane reminds us that no matter who you are, you have the opportunity and ability to change your thinking, and in turn, change the world.